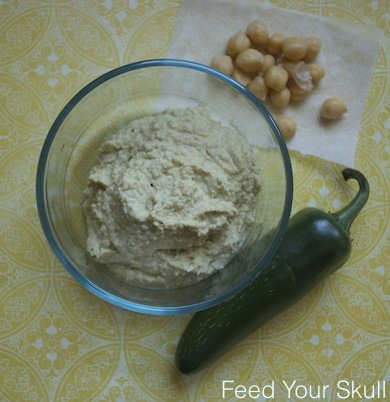 You are going to love today’s jalapeño hummus! I haven’t made hummus in awhile which is kind of sad because have you ever looked at the ingredients on store bought hummus? The list is incredibly long thanks to their inclusion of additives, extracts and preservatives. It’s so silly really because homemade hummus is incredibly easy and satisfying to make yourself. It can be made in a food processor (big or small), blender or in a bowl with a fork, muscle and some patience. Not only is it easy but you can cater it to your own palate and replicate many interesting sounding hummuses you would find in the store – but for much cheaper. We all like the sound of saving a few pennies! Save even more money by cooking your own beans bulk style and freezing them in ‘can’ sized batches. 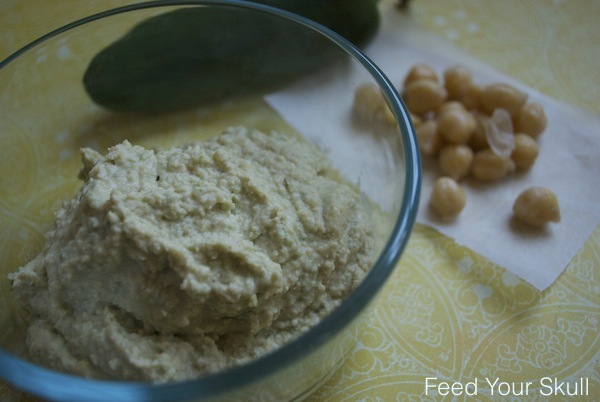 Pull a bag of frozen chickpeas out, let them thaw overnight and make hummus in 5-10 minutes the next morning. 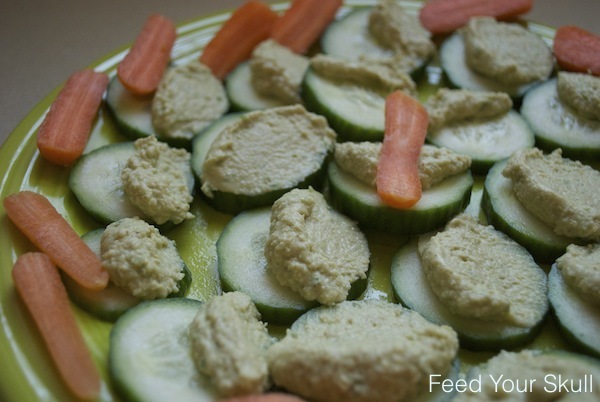 Today I enjoyed a plate of butter leaf lettuce, cooked ‘mixed frozen’ vegetables (topped with a little salsa) and this jalapeño hummus. It was so good and very satisfying. I then made the plate you see here to show off the quick and easy hummus. 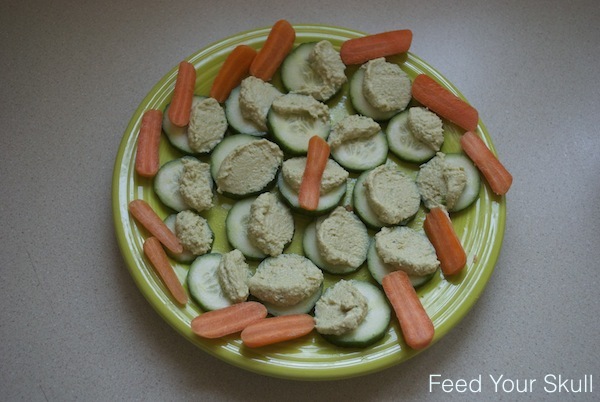 This could be a meal or a nice snack for intermittent munches throughout the day. I adapted her original recipe to what I had on hand in the kitchen and my palate. Try it! You won’t be disappointed. Place all ingredients except water in a blender or food processor. Mix until mashed and then add water to reach your desired thickness/thinness. If you are mashing in a bowl - dice/mince the jalapeno and garlic first before including. Start with a half a jalapeno first then add the remaining if more spice is needed (I used a whole one).